Yang’s passion lies in fostering sustainable and quality living through supporting business and stakeholders to create and scale up enabling solutions and innovations. Her expertise lies in developing and applying user-centric innovation tools to support organisations in creating a shared vision, engaging stakeholders, and innovating products, service and business models that deliver sustainable added-value for users. In this context, Yang has actively worked on the development of toolkits, training programmes, workshops and coaching processes for sustainable business and entrepreneurship. Yang has been the project manager of sustainable tourism projects in Africa, supporting MSMEs and local authorities to implement sustainable operation, and improve, innovate and promote products with a user-centric approach, that aims at mainstreaming sustainable tourism for the mass market. 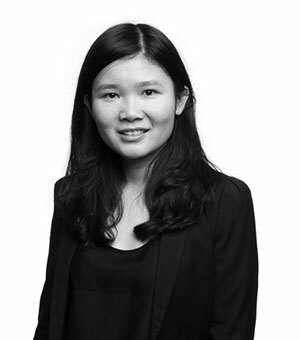 Yang is also the coordinator of creative circular economy ideas within the CSCP, particularly looking into how to support business and stakeholders to enable circular living, and how to empower consumers as active contributors to closing the loop and achieving higher circular value. She has also worked actively on driving green retail with industrial associations and individual retailers in China, India and Germany. She also produced the research report FUTURE RETAIL FOR LOW CARBON CONSUMPTION IN CHINA, looking into future retail trends and how the players along the retail value chains may contribute to the sustainable consumption vision in China. Receiving an Erasmus Mundus Scholarship, Yang gained her Joint European Master of Environmental Studies from Denmark, Germany and Spain. During her study, she focused on industrial ecology and environmental management at the company level. In her thesis, she developed a green retail framework based on an investigation of the institutional and resource-based factors for sustainable retail development in China.